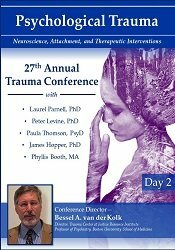 Paula Thomson, PsyD, Professor, California State University, Northridge (CSUN), Clinical Psychologist, Co-Director of the Performance Psychophysiology Laboratory at CSUN, adjunct faculty at Pacifica Graduate Institute, and Professor Emeritus at York University. Professional dancer, choreographer & movement coach. Co-author of Creativity and the Performing Arts.